This member of the Amaryllidaceae family was given this name by Carl Linnaeus in 1753. It is found in South Cape of South Africa, growing in a well drained soil with some water and lots of sun. 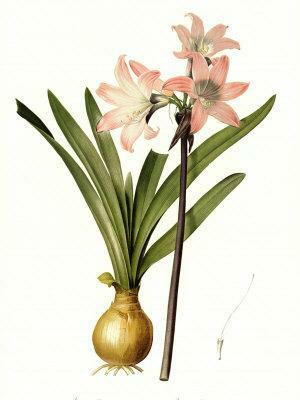 The bulbs can grow to ten centimetres i diameter, the plant grow up to 40 centimetres and the inflorescence up to 60, bearing white to pink flowers. Amaryllis, named after a beautiful shepherdess. belladonna meaning beautiful lady.